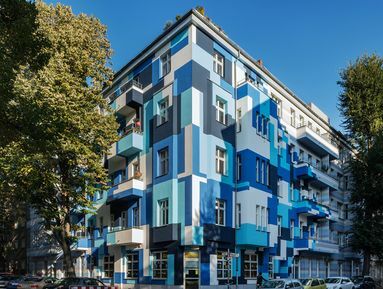 Hidden away on the ground floor, behind the excitingly modern façade, lies a classic 3-room Altbau apartment, with large living area and two practical storerooms. In addition, residents here benefit from a compact bathroom and plenty of light. And with 87m², both families and discerning couples will feel more than comfortable.